A crackdown on shoplifting and anti-social behaviour in Fremantle has been hailed as another example of the benefits of the partnership between the City of Fremantle’s Community Safety Team and local police. The three-week operation last month resulted in more than 70 charges being laid by Fremantle Police, including 30 for retail theft offences. In total, 60 people were arrested, summonsed or issued with an infringement. Two groups of offenders were also identified and have been prosecuted for committing a series of shoplifting offences in the Fremantle city centre. Fremantle Police Investigations Manager Detective Sergeant Phil Gazzone said the cooperation of the City of Fremantle and local businesses was vital to the success of the operation. “Shoplifting can seem like a relatively minor offence but over time it can have a big impact on the bottom line of local traders,” Detective Sergeant Gazzone said. “It can also be a difficult offence to police because we basically have to catch the offender in the act. The City’s Community Safety Team works closely with local police to respond to low-level crime and anti-social behaviour. In this operation Community Safety officers were assigned particular areas within the City Centre to focus on with their foot patrols, and surveillance support was provided to the police through the CCTV network. 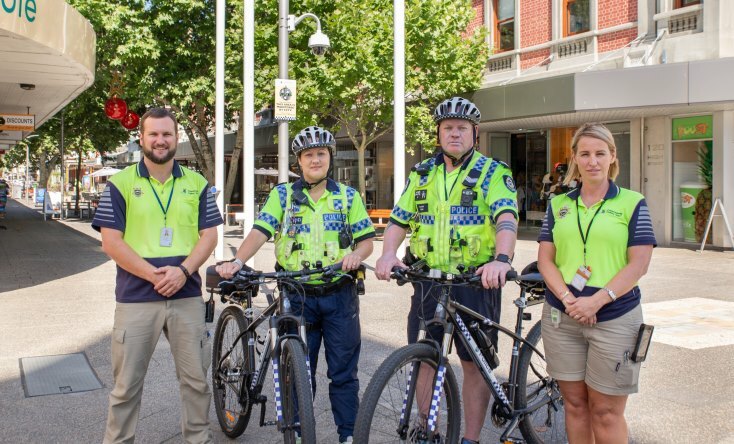 Last year the City expanded the Community Safety Team’s operating hours and also introduced bike patrols to allow the team to cover a greater area and improve response times. The Fremantle Council also recently adopted a new CCTV strategy. The City of Fremantle CCTV Strategy 2019-2023 was prepared in consultation with WA Police and provides for the installation of an additional 25 fixed CCTV cameras throughout the city centre. The new cameras will be funded through a $928,000 grant from the federal government’s Safer Communities program. For more information visit the Community Safety page on the City of Fremantle website.